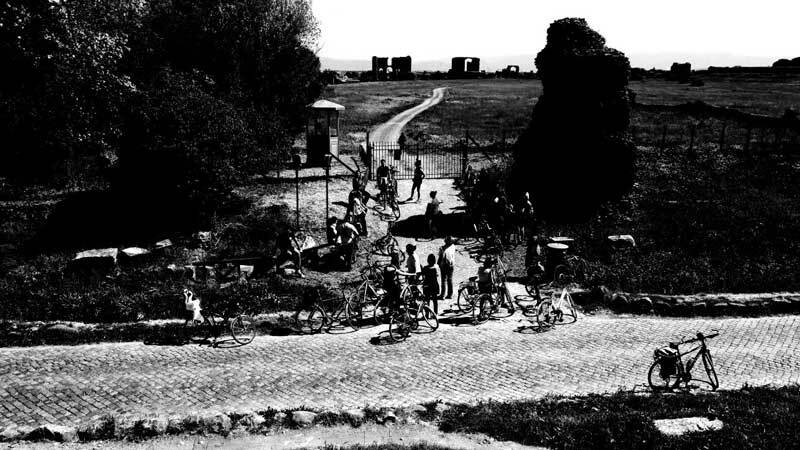 Children on bikes Accepted from age 12 and up. 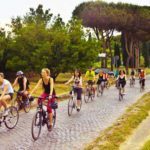 They must be able to ride in crowded streets with uneven road surfaces. 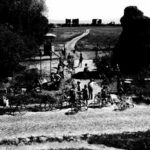 Their parents are responsible for them and the children pay full price. 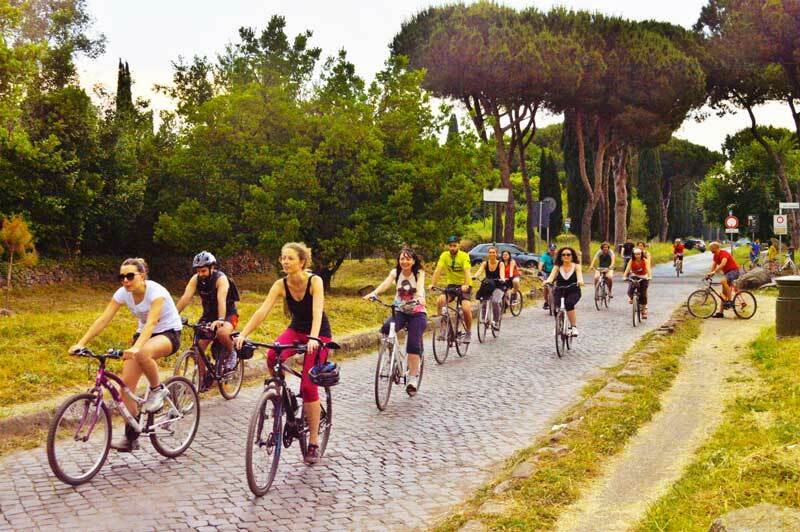 An extraordinary trip back through time, pedaling on a 2,300 year-old cobblestone Roman road. 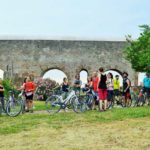 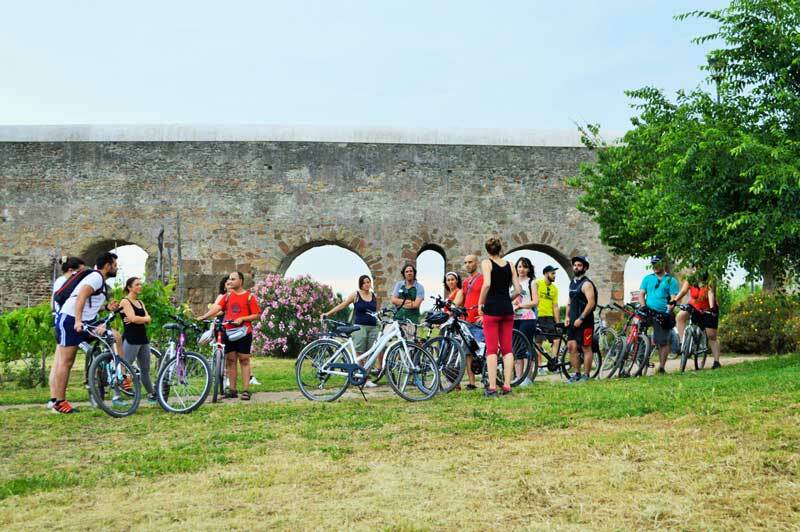 From the Colosseum, we will ride past the monumental remains of the most impressive thermal baths of the ancient world, passing through the most famous gate in the Imperial walls. 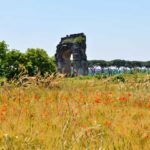 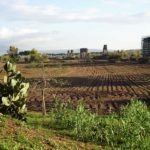 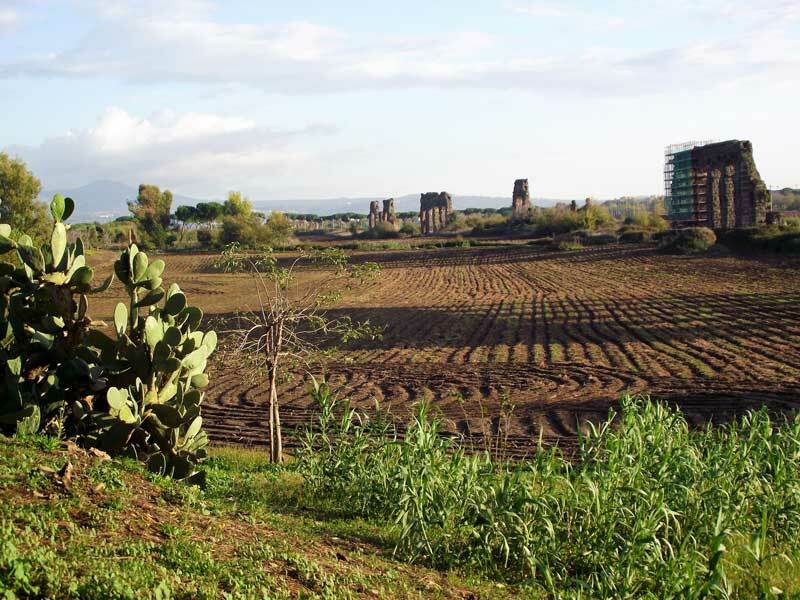 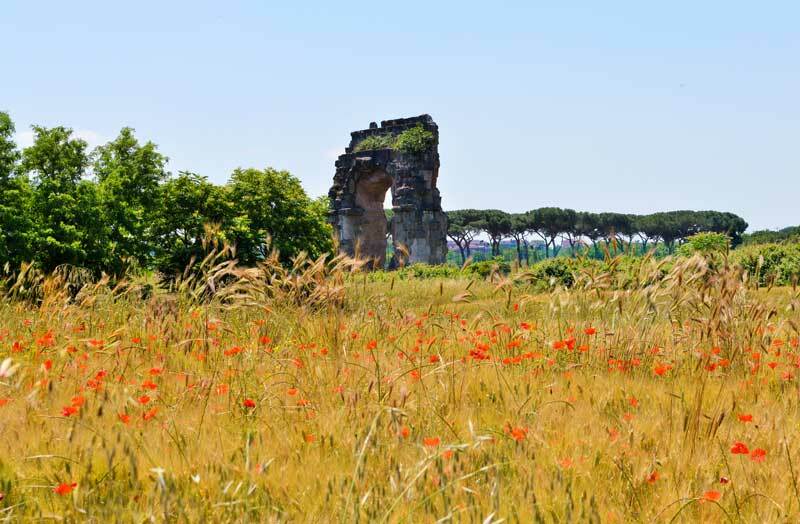 On the Appian Way, we'll head towards the Roman aqueducts, amid the remains of temples, tombs, towers, bas-reliefs, poppies and cypresses, then we'll enter Caffarella Park, a preserved strip of land of the Roman countryside. 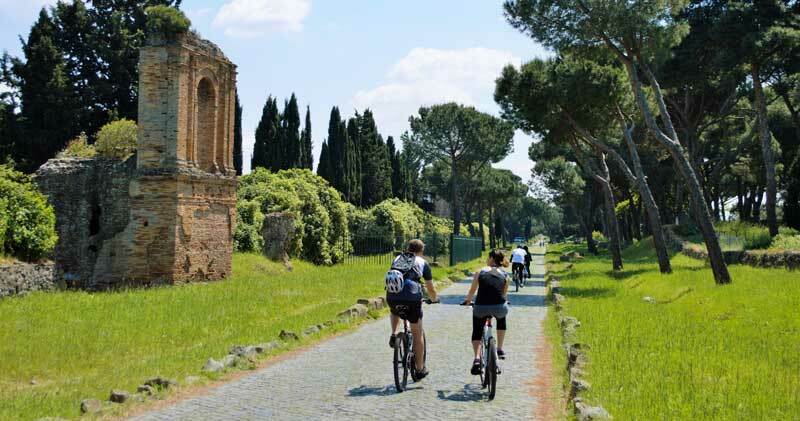 This tour offers an extraordinary mix of nature and culture. 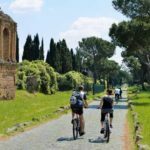 The route is not difficult, but it does include several sections on dirt tracks, some pretty adventurous landscapes and a couple of climbs; it also involves having to negotiate the uneven surface of the original roadway.